Tell Me More...We believe in the power of theatrical storytelling and the voice of community. Throughout twenty-years of fostering the voices of young people and actors, we have experienced this power and the deep satisfaction, not only of speaking your story and having it heard, but of trying on other people's stories as well. The work of Augusto Boal (Theater of the Oppressed) and Playmaking are two approaches specifically designed to give non-actors a powerful experience of being heard through theater. We combine these approaches with the words of William Shakespeare to help you to tell your community's story theatrically. What do we mean by ‘Community’? Isn’t NEW HAVEN our Community? We all share this city and a desire for it to thrive… but that might look very different depending on who you are. New Haven is a community of communities… made up of a wide diversity of smaller groups – each with their own perspectives, history, concerns and vision for the future. These “micro-communities” have unique voices; and depending on where you live or what you do, you may define your community and its needs very differently from others who call New Haven home. For this project, a “community” is a group of 3-30 people who share a unified voice through shared geography, culture, or activity. Do you all live in the same neighborhood and get together on a regular basis? GREAT! Do you all work at the same institution or have the same profession? GREAT! Do you share a unique cultural experience that the larger community needs to hear about? GREAT! What’s important is that you already have a relationship with each other and a common experience that you want to share theatrically. Want YOUR Community Organization to Participate? 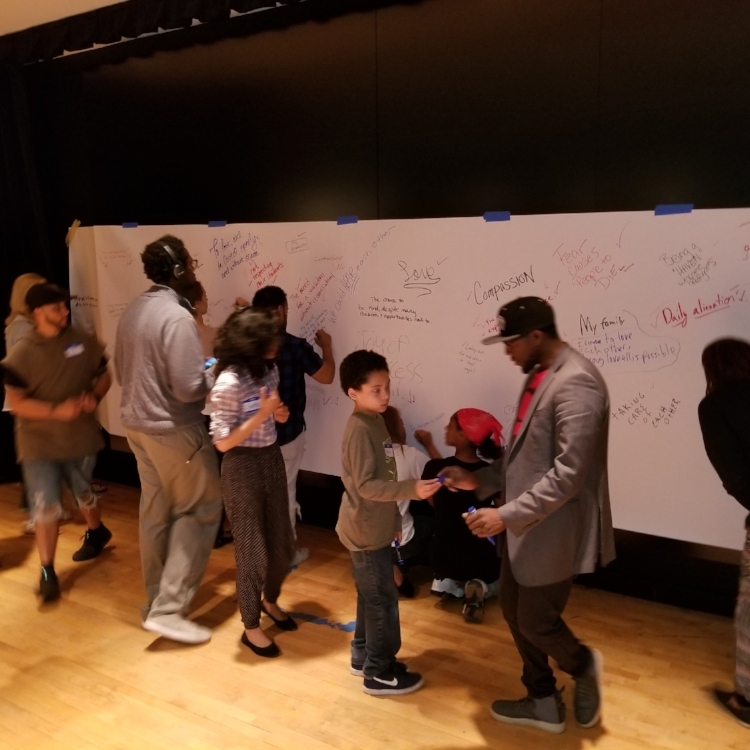 We work with community organizations who want to write, rehearse, and perform an original theatrical scene based on their experiences, passions, and thoughts about our community. Unfortunately, the 2018 Hear My Soul Speak participating organizations have already been chosen. Let us know if you’d like to participate next time! The scene your group (3-20 people) could create would be a part of a larger collaborative performance. ESC is working with groups from all over New Haven, and each will create an original scene--with an eye towards social justice issues--from their own perspective. 1. WORKSHOP: One initial 3 hour creation workshop, (which can be split up into two 90-minute or three 60-minute sessions … as long as the same participants are at each session). Elm Shakespeare's facilitators will come to a space you have, or we can provide a space. The time and day for the workshop can be decided based on what works best for your group. 2. REHEARSAL: This is the day we put the scenes all together, whilst the groups mingle, get to know each other, and do some group exercises. We will add any tech elements (sound, lights, an opening, a curtain call, etc). We will provide snacks and dinner! 3. PERFORMANCE: The performance will be that same evening as the rehearsal. We will provide all participants with snacks and dinner. We ask that each participating group bring at least 10 people to see the performance. This program is FREE to all participating groups, made possible by the City of New Haven, a generous private donation to ESC,s and to our partnering organizations, Suvivin' ‘N Da Hood and Southern CT State University. A taster performance at end of 2 hour workshop. 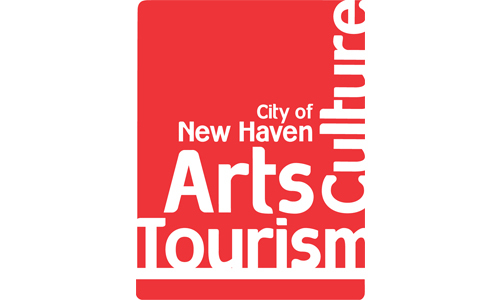 What STORY from your experience if told would change peoples perception of New Haven as a whole? as diverse as our city. bringing different parts of New Haven together, through theatrical storytelling, to build relationships and promote social justice in our city. about the November 2018 Performance HERE. June Workshop - Getting in the Groove!